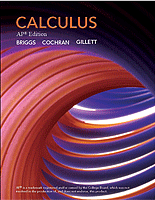 Renowned authors, William Briggs and Lyle Cochran have built from the ground up a program specifically for AP Calculus teachers and students. As the book opens, a concise and lively narrative engages students’ intuition and geometric instincts. Within each chapter, concrete examples, analogies and modern applications unfold in a way that makes calculus both believable and accessible. The end result is book that will help students achieve their AP goals as well as provide a foundation for college level coursework. In collaboration with more than 90 academic experts and classroom practitioners the authors’ balance rigor and intuition and prepare students to be successful on the AP exam. • AP-specific chapter content clearly correlates to the AP Curriculum Framework and prepares students for the AB or BC exam. • A ground breaking and award winning eBook includes more than 400 interactive figures drawn straight from the book (available in MyMathLab® for School). • Interactive figures allow for teachers to illustrate important ideas in the classroom and students to explore concepts in ways that a static book cannot provide. • Quick check margin notes encourage the student to read with pencil in hand. • A cumulative exercise sets and a set of AP practice exercises conclude each chapter. 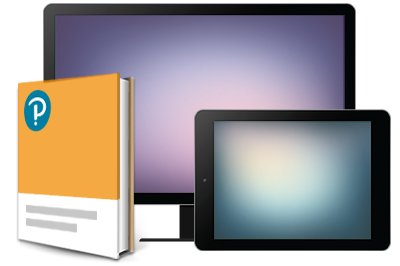 Interactive figures within the eBook enable you and your students to manipulate figures, bringing hard-to-convey concepts to life. This innovative eBook, available exclusively within MyMathLab for School, contains 500 Interactive Figures that correspond to figures in the printed text. Teachers can use them in the classroom as teaching tools, and students can explore the figures while they are reading the textbook.